Looking at an Apache Tomcat 8 server I started with a C letter grade. 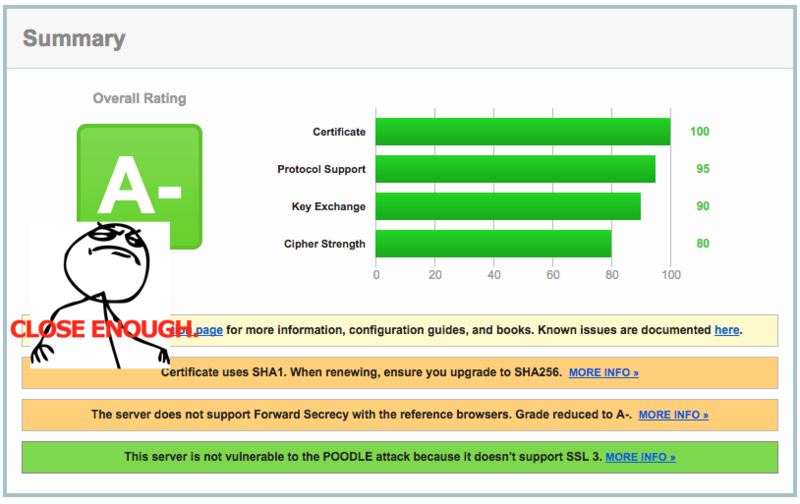 Vulnerable to POODLE and Forward Secrecy not supported. 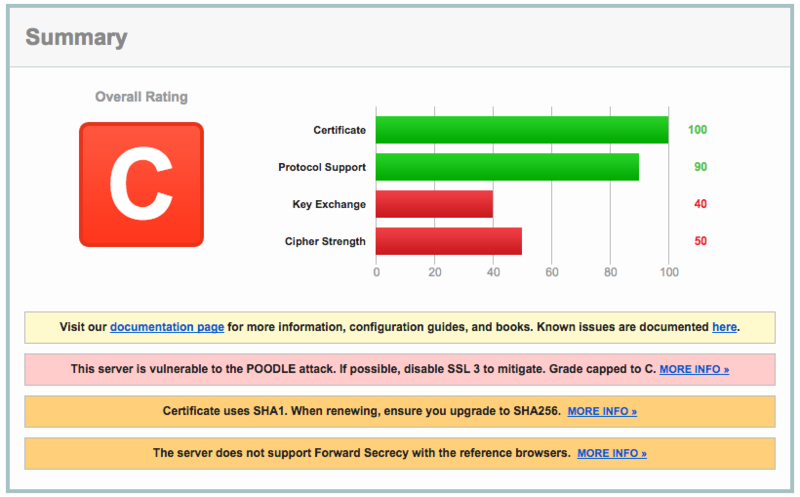 So I disabled SSLv3 /* goodbye Internet Explorer 6 users */ to close the POODLE vulnerability. And then I provided a list of Cyphers to Tomcat rather than relying on it’s defaults. Below is my conf/server.xml configuration for SSL. After making these configuration changes I was able to raise the score to an A-. Changing it from a sad red to a happy green. I was also able to improve the cypher strength score, however, I was not able to get Forward Secrecy available in the reference browsers which reduced the score to an A-. I tried messing with the cyphers a little more but I could only get Forward Secrecy at the cost of compatibility with several modern browsers. CLOSE ENOUGH.